Suspense on the Edge of Romance Collection! Wow, what a thrill to be a part of this collection! Grab a copy of Suspense on the Edge of Romance to read J.T. 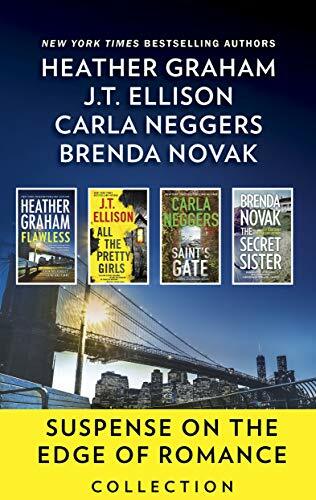 Ellison’s All the Pretty Girls, Heather Graham’s Flawless, Brenda Novak’s The Secret Sister and the launch book for my Sharpe & Donovan series, Saint’s Gate. Now that I’m into my e-reader, I love checking out “boxed sets” to catch up on books I missed or to try new authors. Whether a set includes stories by one author or multiple authors, it’s a great value for us readers.